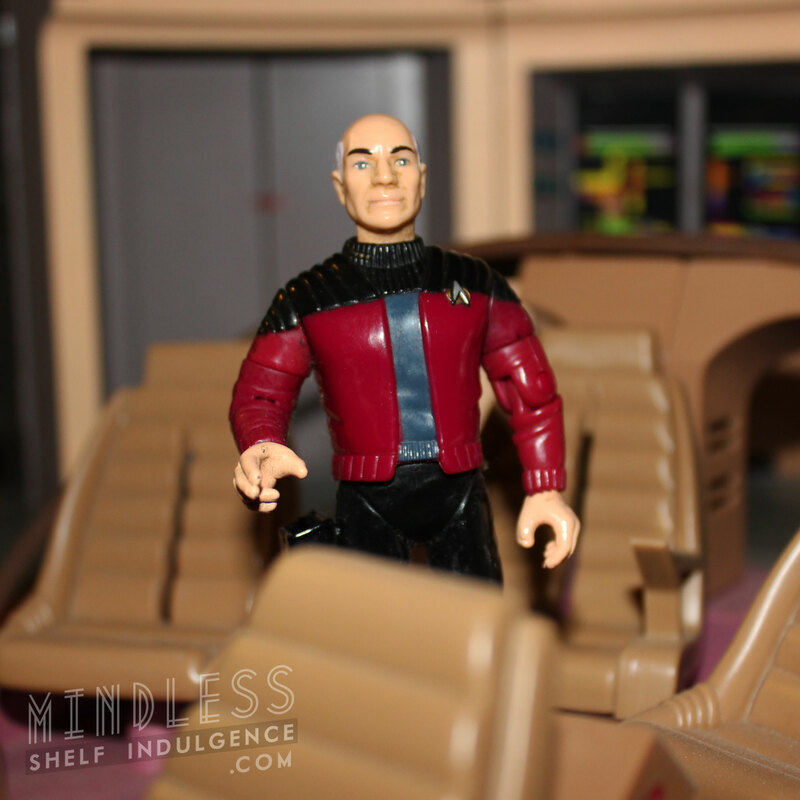 Series 1 Picard is differentiated by his turtleneck and open vest. 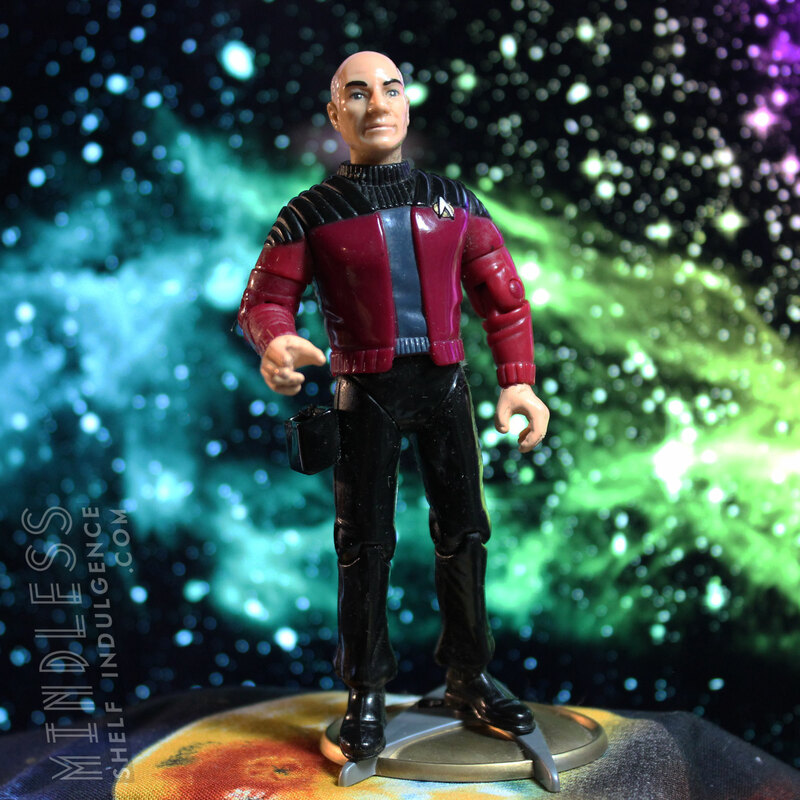 Most notably, this vest combo is seen in the Season 5 episode ‘Darmok’ when meeting Captain Dathon, and is worn as a ‘casual’ option by command officers. 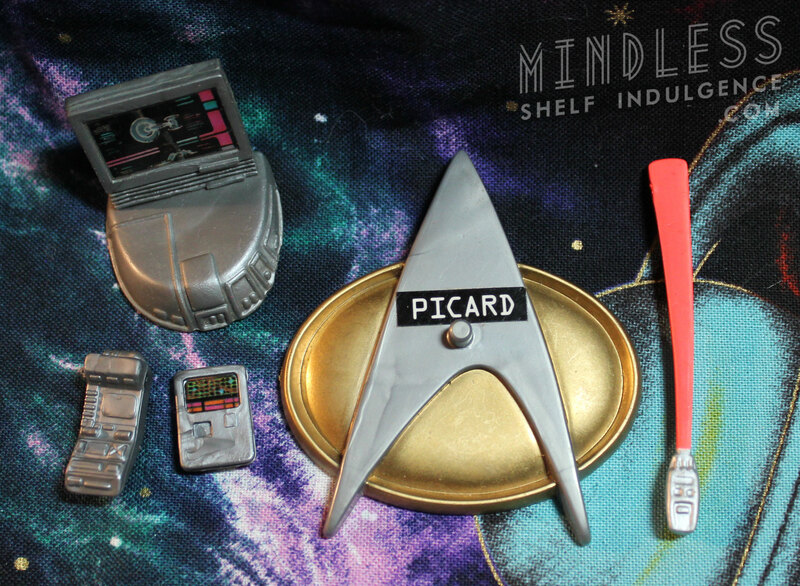 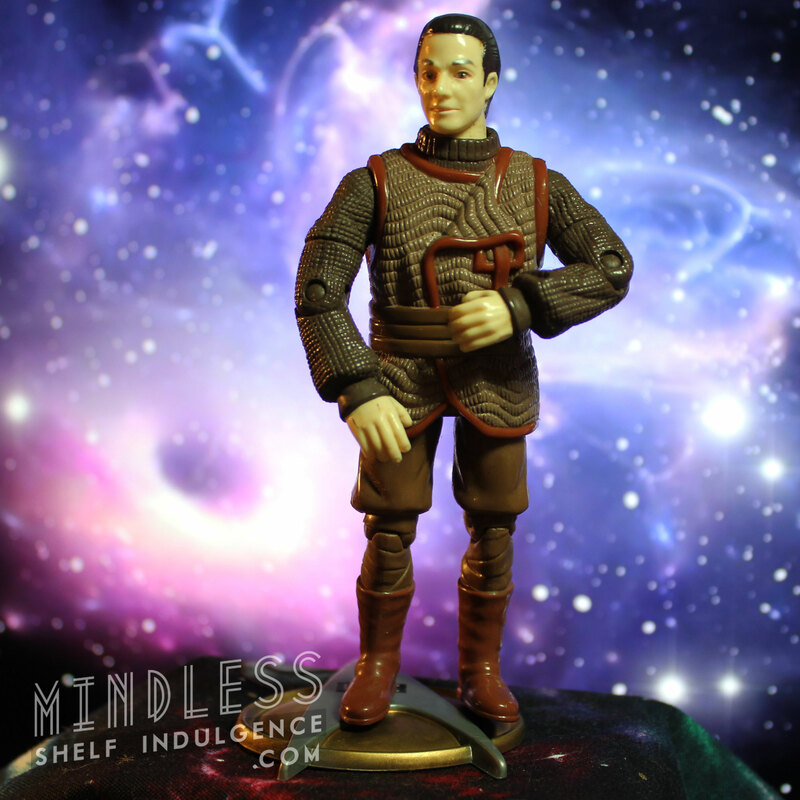 Includes grey accessories, a ‘Picard’ base, and a Type I phaser. 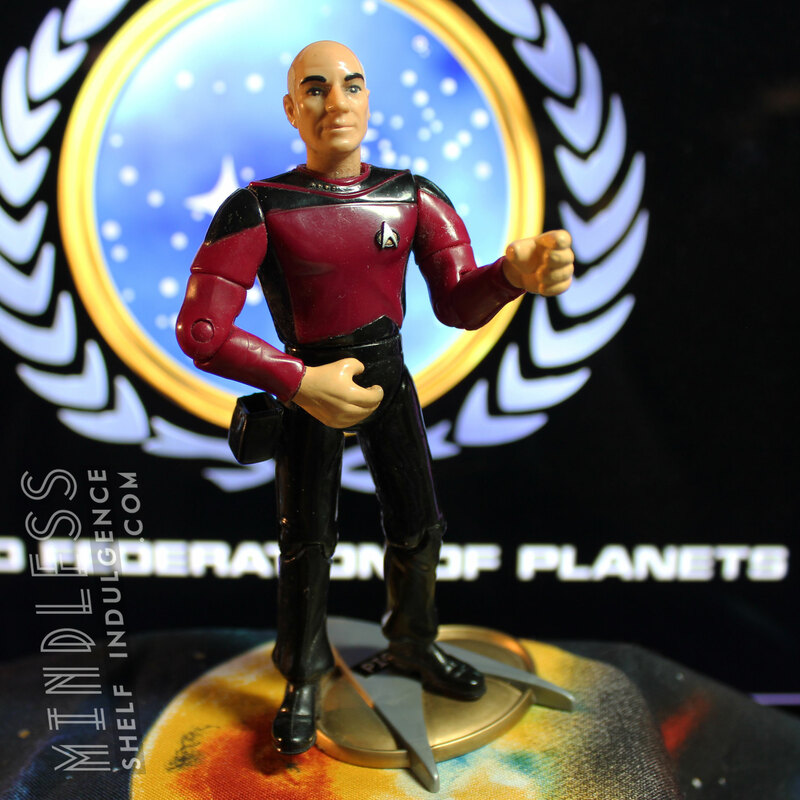 A common figure, but a classic, and one of many, many subtle costume variations for Picard.